Friends and Patrons of Amherst College. 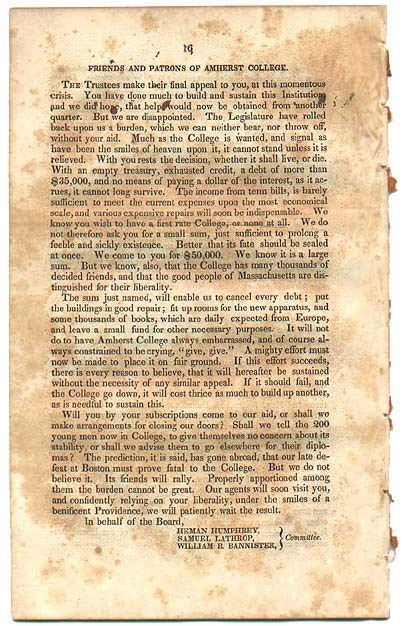 The last page of the pamphlet, ending with President Heman Humphrey's plea, "Will you...come to our aid, or shall we make arrangements for closing our doors? Shall we tell the 200 young men now in College...to go elsewhere for their diplomas?"